I have to tell you about this book by Cicely Mary Barker. I remember as a child that I had that one special book that I would get excited to open up each and every day to find something new that I didn't read before. This book is like that! The hard cover and gild rimmed pages set you on a magical adventure from the very first touch. The beautiful illustrations on each and every page capture the imagination and spirit in a young girl. My girls absolutely adore this book and have loved on it so much over the past year that it's almost falling apart. Not due to lack of quality, but because they read it EVERY day excited to find something new! You can find so many things in this book to keep the kids busy for hours. The stories are so enchanting and the recipes and crafts open up my daughter's imagination and love for these little creatures! My favorite part of the book is the "How to throw a Fairy Party"! It outlines everything your girl will need from invitations and decorations to songs and drink recipes! Tons of easy and fun crafty ideas that kept our kids busy all summer long. They call me Strawberry Featherfoot! This is a super sweet name where you pick the preferable option that leads you through to get your very own fairy name! Oh, the giggles! I could go on and on but really you have to get this book for the sweet little darling in your life. This is a great summer reading book that your girl can sit with under a tree and just let her imagination run! *this post contains affiliate links that help support Mighty Girls Rock. 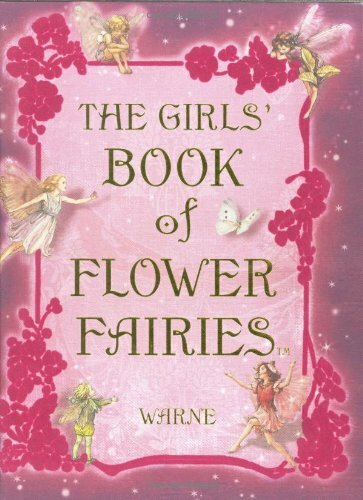 Posted on May 15, 2016 by Katie D. and filed under Raising Girls and tagged summer reading list girls book of fairies flower fairies #raisinggirls.